NYC, 11/09/2018, 7:00PM. Those Who Knew: Assaulted by a Powerful Man. 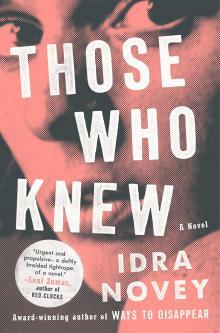 The second novel by award-winning poet and translator Idra Novey is about a woman who watches with trepidation as the fellow student who assaulted her in college becomes an increasingly powerful senator.